Ever felt stressed about travelling with your child and not being sure about how comfortable your baby would be in the new sleeping environment? A portable bed may be what you need but finding a good one is not an easy task. That’s why I have reviewed the best travel crib you can buy right now. Such a travel cot may also come in handy when you are visiting your kids’ grandparents or taking a family trip to the beach. I speak from experience as I am a travelling mom. 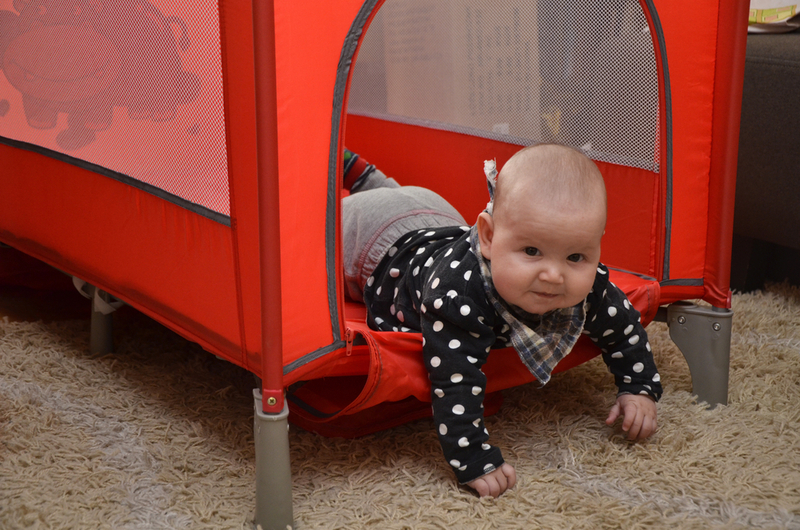 My top pick for this review is the Lotus Travel Crib and Portable Bay Playard. Let me clarify that I have not personally used every single cot out there. I have compiled the information from a variety of sources about all kinds of portable cots so that you don’t have to bounce around the internet doing a bunch of diligent research before you buy. I have already done it for you! Why Use a Travel Cot? Experts advise that the baby should not sit in a car seat / bouncer / high chair for a total of no more than two hours per day. A good travel bed is therefore a must! – you must not leave the baby in a seat no longer than 2 hours a day. Counting all the sitting moments together. A travel bed is mostly use for travelling easily with your child but it can also be used as a pram. As previously mentioned, The Lotus Crib is my number one choice for mobile beds. Before diving into a detailed review, here is a summary table of the top 3 in this category. Many parents are familiar with the Guava Family baby gears. The Lotus Everywhere Travel Crib is their flagship product. I picked it as the top 1 fold up cot because of its lightweight, hands-free portability and more importantly its safety standards. Indeed this crib is the only one in its category to have been certified to the Greenguard Gold standard, a rigorous certification program. This implies that it’s been thoroughly tested for chemical emissions. 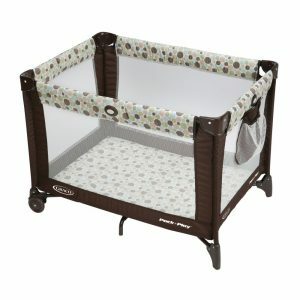 You can read more about some of the criteria to look for when shopping for cot by clicking here. According to the manufacturer, the Lotus Crib is generally useful until around 2.5 years (depending on how your quickly your child develops). It does not have a weight limit as the mattress is supported by the floor. It is not recommended to use the product if your kid reaches 35 inches in height. This is a federally mandated warning for all travel cribs as well as Pack n Play Playards. There is durable fabric base underneath the mattress that can be removed and washed. Very easy to setup – in 15 second flat! Machine washable material and a breathable mesh. Although the zippered door is kind of convenient, the product becomes useless if the zipper breaks. The mattress is really thin and can feel like the baby is literally sleeping on the floor. In my opinion the Lotus Crib is ideal for you if you aspire to make your life simpler, efficient and elegant. It’s small in size, easy to carry around and ridiculously simple to setup! You would probably agree with me when I say that Graco is one of the most recognized brand when it comes to baby gears. They have been in business for over 60 years and the Pack N Play is part of their Playard line of products. Graco claims that all their products is built around safety and durability. I must admit that one of the first travel cribs that I used was a Graco Pack N Play with automatic folding feet. The Pack N Play that I researched is the basic version which comes generally in two colors: aspery and carnival. It also has automatic folding feet and wheels thus making it easy to store and travel with. The frame is durable from my own experience. The playard can be used for playing or sleeping. Stop using this product when your child reaches 89 cm (35 inches) in height, weighs more than 14 kg (30 pounds) or is able to climb out. If the crib gets sandy, remove sand from all surfaces before packing into bag as sand can damage the top rail lock. Safety straps that snap to the legs. Overall, Graco is a trusted brand and if you are looking for just a convenient portable sleeping environment for your child then the Pack N Play series is a good fit. Babybjorn is another trusted brand in the baby gear industry and the travel crib light is my third pick as a good choice for portable cots. 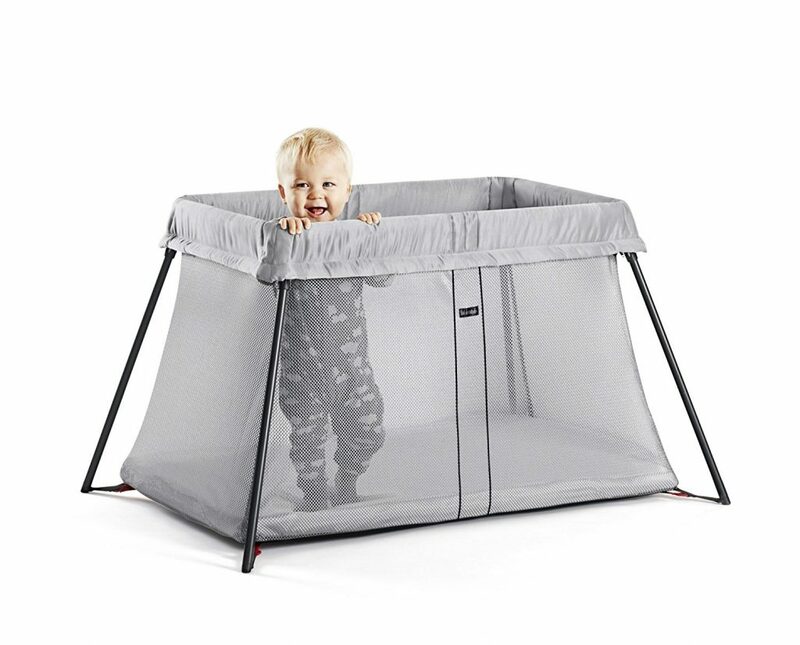 It is easy to setup, cozy for babies and toddlers. The frame is sturdy and durable. Furthermore, the airy design is convenient for good supervision. 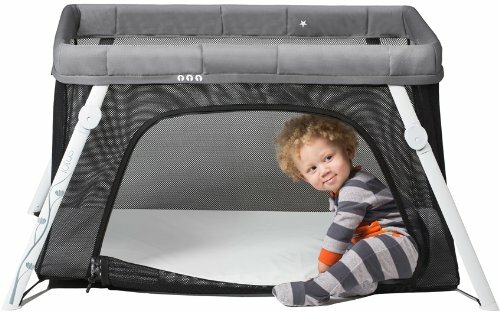 The travel crib is adequate for newborn up to approximately 3 years old. Stop using this product when your child can climb out of it. There is no weight limit for using the crib. The fabric is machine washable using warn/40 degrees. The mattress cover is washable at hot/60 degrees. A bit challenging to pick up/put down your child into the crib if you are challenged vertically e.g not too tall. The mattress lies on the floor. Why Use A Baby Bed Reducer And How To Choose It? Besttravelcribreviews.com is a participant in the Amazon Services LLC Associates Program, an affiliate advertising program designed to provide a means for sites to earn advertising fees by advertising and linking to Amazon.com. Amazon, the Amazon logo, AmazonSupply, and the AmazonSupply logo are trademarks of Amazon.com, Inc or its affiliates.